Now if what we said above makes this game sound impossible, you’ll be pleasantly surprised. 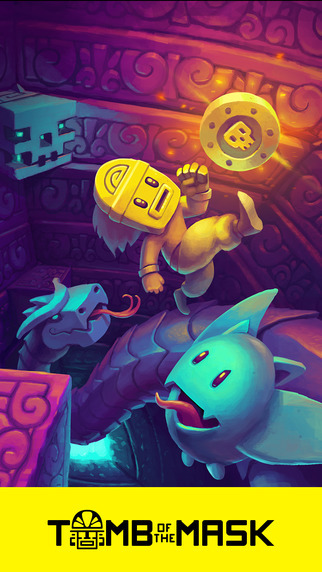 In Tomb of the Mask you’ll find some very new and interesting controls we haven’t found in any other dungeon type game before. By swiping (up, down, left, or right) your character will instantly warp (up, down, left, or right) as far as possible before finally hitting something and stopping. So to run left along a corridor and then jump to the next level, all you do is “swipe left” and then “up.” Easy to understand, and even easier to use! 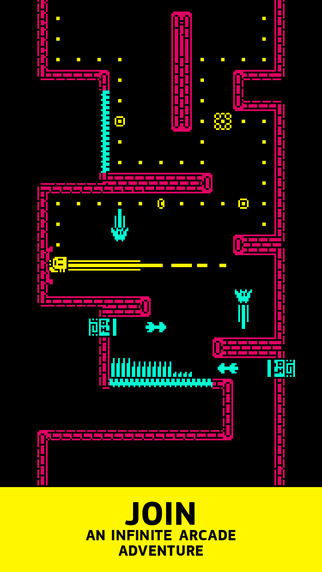 Now for all of you who love your retro graphics, Tomb of the Mask will not disappoint. 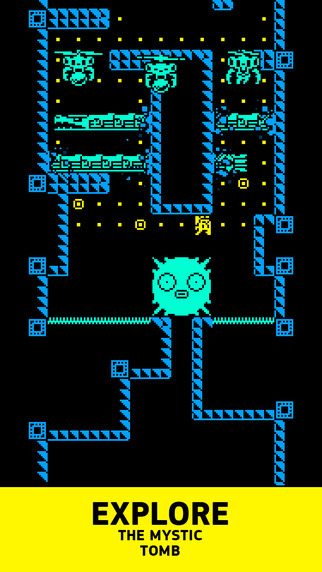 Tomb of the Mask has some of the best retro graphics we’ve seen in a mobile game. Unfortunately it’s still no match to its elder sibling Into the Dim which in the sense of graphics is insane! 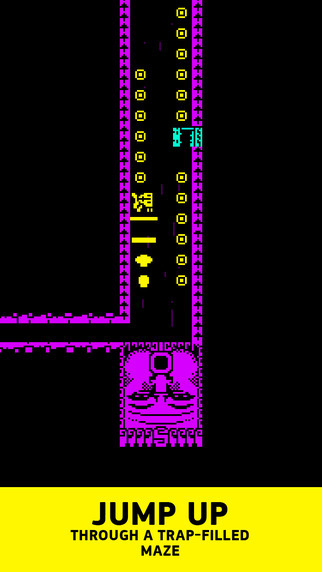 So if fast paced retro gaming sounds like a lot of fun, Tomb of the Mask is the fastest “playable” retro game we’ve ever reviewed.